Preferring to be the optimist, Amanda Lopez believes a positive mindset has provided her with many opportunities for success at South Texas College. Now as one of only 600 students in the nation to work as an Amazon Prime Student Ambassador, and one of two from STC, Amanda believes her work with the Fortune 500 Company can be the starting point for a dream job in a field she loves. Amazon employs her as a paid part-time independent contractor charged with increasing awareness of Prime student membership through personal interactions with students and social media. Amanda said her interest in a career in Public Relations started shortly after high school. She gained her experience working at Palm Valley Animal Center and the Laurie P. Andrews Paws Center in Edinburg. Working within the Development Department at Palm Valley, Amanda said she was in charge of the center’s volunteer program, and began looking for a college degree that could supplement her work there. She began with an Intro to Mass Communication course at STC and then immersed herself into the college quickly. Earning the respect of faculty and her peers, she joined STC’s official chapter of the American Advertising Federation (AAF) on campus and was elected as the club president for fall 2018. Based in Washington D.C., AAF is the oldest national advertising trade association in the United States. The organization has more than 200 chapters across the U.S. and more than 5,000 student members providing them insight into the advertising industry as well as contacts and job opportunities to help propel their careers. 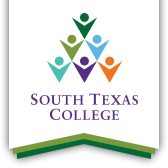 The Associate of Arts degree in Communication at STC is comprised of two tracks including Communications Studies and Advertising/Public Relations. Students get an opportunity to explore communication in a variety of contexts. Courses offered include public speaking, interpersonal, argumentative and debate, and group communication. The Advertising and Public Relations track differs by providing coursework in the Mass Communication discipline. The focus is on the theory and application of the advertising and public relations industry. New for fall 2018, STC’s Communication Program has installed a new creative studio for students with access to the Adobe suite that enables them to complete advertising or public relations campaigns. Located in STC’s new North Academic Building P on campus, the department will begin employing brand new cameras, lighting and microphones for students to offer them the hands-on experience they require. The program also requires internships for students as part of their Capstone class in their final semester. For Amanda, she says the Communication program at STC has prepared her for further education. Once she graduates in May 2019, she plans to attend the University of Texas-Rio Grande Valley to obtain her bachelor degree in Mass Communication. “People who see me will be like ‘Oh, that's Mandy, the girl with the smile, she's always happy’,” Amanda said. “Being positive has definitely drawn and provided good opportunities for me. Everybody wants good fortune to come their way and you just have to attract what you want. So I'm always trying to be happy and positive, because that's what I want in my life.